After being benched from FaZe, in-game leader karrigan has become the hottest item on the CS:GO market. Having lead both TSM and FaZe Clan to world-class status, he’s one of the most accomplished IGLs CS:GO’s ever had—and he’s available. While now and again star players become internationally available, legendary in-game leaders are rarely (if ever) available on the international market. Having played on an international roster for two years now, karrigan should be getting offers not only from his home country of Denmark but from every team with rosters willing and able to communicate in English. Of course, Envy.us has announced that karrigan will be playing for its CS:GO team in the Major. However, this is merely a loan from FaZe, and it’s not expected that he will carry on with that roster afterwards. All things considered, karrigan should be a premium asset up for grabs after the Major later this month. In anticipation of the bidding war, let’s take a look at the teams that could and should try to get the decorated in-game leader. At first glance, the enthusiasm of the folk backing this move seems strange, considering the total irrelevance of Optic of late. Still, it’s hard to find faults in their enthusiasm. Perhaps the reason Optic has been such a popular fan wishlist destination for the in-game leader stems from the natural fit of karrigan’s strengths and Optic’s shortcomings. For one, karrigan has earned a reputation as a builder—taking hold of sinking assets and getting them up and running. When the development of the Dignitas team (later TSM, Astrals) stalled under in-game leader FeTiSh, karrigan was the leader to take that team to the elite level. Next, he joined a destitute FaZe Clan roster (whose performance in the past year could only be described as heinous) and immediately resurrected the team with playoff results, and eventually world-class placings. Meanwhile, Optic has done a whole lot of nothing despite sizeable investment in a respectable roster. Despite the revolving door that is Optic’s fifth player, every iteration has been dead on arrival. Now with up-and-coming player refrezh, the team has a great deal of talent—they just need someone to turn these instruments into a worthy symphony. While snappi—Optic’s current in-game leader—seemed to get the most out of his players on Heroic, the same can’t be said of him during his tenure in Optic. Hence, it is not without reason that pundits are looking outwards for the right conductor. While I am reticent to replace in-game leaders before every other aspect of the roster has been fleshed out, that excuse cannot be used in good faith to defend snappi. He’s had some good rosters, and done nothing with them. Of course, it’s difficult to get a sense of blameworthiness from the outside, but even if snappi had done a decent job at Optic, there’s little room for doubt that karrigan would be an upgrade. Despite the natural fit, I rest uneasily at the prospect of karrigan joining Optic. Perhaps that’s because Optic has fielded so many underperforming rosters in the last couple of years. Or perhaps it’s because I don’t have faith that would-be star AWPer JUGi can get his groove back. From Optic’s perspective, picking up karrigan would be to find the prodigal son himself and sign him to a contract—but as it pertains to karrigan, I think he’s got better options. Given the recent swap from long-time in-game leader MSL to novelty leader cadiaN, many seem to take North out of the running for karrigan’s acquisition. Yet, while cadiaN deserves more time at the helm, this is a situation where the general manager of North should be harsh. However, unlike the Optic case this isn’t a natural fit for karrigan, though it may be a better one. In order to understand this, we would do well do get into the meat of North’s challenges. I say challenges, and not problems, because North is in a fine place right now. In truth, they’re right about where they’ve always been—hovering around the #10. But, as North demonstrated by removing key players at regular intervals, the organization is not satisfied with its standing. North wants to contend, and its rosters simply haven’t. So while we may look at North without a critical snarl at this moment, the organizational lens suggests that roster changes could be justified even when they are unprompted. Looking at this North roster, it’s hard to imagine it developing into a contender. With valde, North has a legitimate word-class player, but beyond him, the firepower begins to seem scarce. 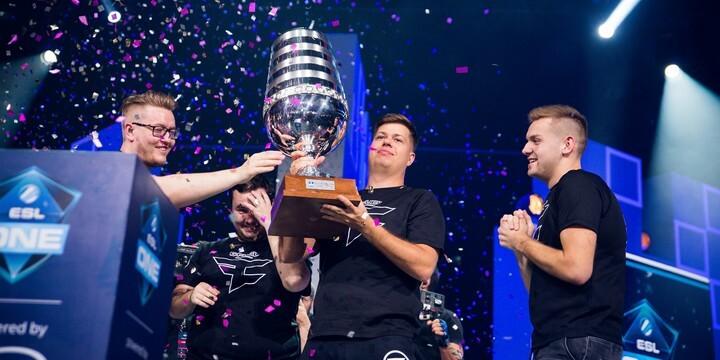 To be sure, gade, Kjaerbye and aizy are certainly not lacking in skill, and a team with one any one of the three would not be hindered by having them. Take, for example, 2017 Astralis, in which Kjaerbye was the third best player. Astralis was by no means a dominant team, but it was world-class, with two world-class players in dupreeh and device. In the context of such a roster, Kjaerbye was serviceable. However, North lacks the firepower umph of elite teams, and without it, the organization will continue to stagnate. There are then two options. In the first instance, North can look outward for firepower upgrades. While this sounds great in theory, it’s nothing new for the organization: adding Kjaerbye, cadiaN, even gade, these were all rightly perceived as firepower upgrades at the time. Yet as the second most prestigious organization within Denmark, having expedited multiple talents like k0nfig and Magisk, North is in a tough spot. It’s not clear that a significant increase in firepower is directly available via roster move. The second option, you may have guessed, is to add a player known to improve those around him—and karrigan fits that bill perfectly. It was under his leadership that k1oshima revived his career, jkaem expressed some signs of life, and rain evolved into a superstar. If anyone gets squeeze more value out of players like gade and aizy, it’s karrigan. For that reason, I posit that North would be a better pick for karrigan. With the ressources and status of North, he could begin a building process that would lead the organization to its aspirations of being a contender. True, the Optic roster might seem more stacked at first glance, but without karrigan’s help, some of those players may even be available within a few months. As a long-term project, playing for North would be a fruitful affair both for him and the organization. My personal pick for this one. Fnatic has achieved little of late, but don’t let their unnoteworthy team performances fool you—this team has got some great players. First, KRIMZ is the best player of any of the three teams considered here, once again proving himself to be an elite player in 2018. Second, young brollan has already impressed in his first showings. Lastly, JW has had a rebound year, proving himself to be an impactful player after a long stretch of poor form. Those three players together make up a great core. True, this team can’t match FaZe or Astralis in raw firepower, but Fnatic’s veterans have always been able to switch on that extra gear when they’re playing well. With Karrigan at the helm, the energy that drove the Fnatic of early 2018 to significant success could carry them to contention once more. The hiccup in my master plan is twist. As of now, twist is mostly plugging holes in the team, and he’s not looking great in doing so. Perhaps karrigan can find a more comfortable place for him—or perhaps another move is needed to push Fnatic over top. Regardless, karrigan leading KRIMZ, JW and brollan is very exciting stuff, and could change the makeup of the Top 4 in an instant. In the short term, the best move for Karrigan is to join Fnatic.